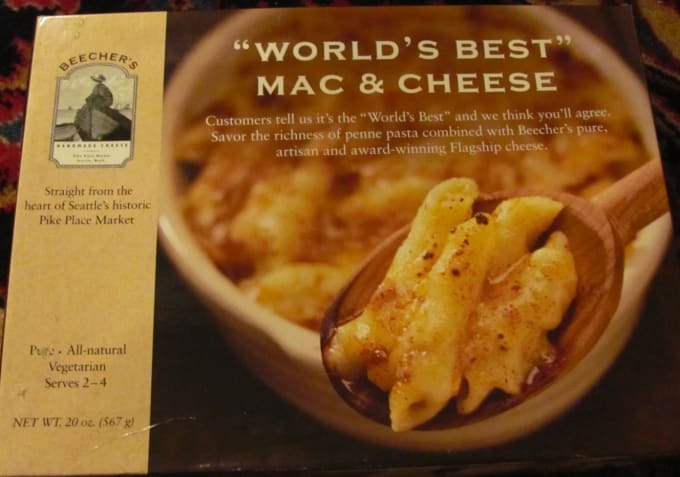 According to Oprah, and hundreds of Yelp reviewers, Beecher&apos;s award winning mac & cheese is the "world’s greatest," in a package or otherwise. Maybe it&apos;s because its made with one pound of their one-year-aged cheddar cheese and another pound of their singaure jack cheese, or maybe it&apos;s just the mysterious allure of the gourmet pricetag. Need to know for yourself? Go to beechershandmadecheese.com, or if you live in NYC, make it down to their flagship store in Flatiron and indulge, shipping free.